Xtreme Racing Carbon Fiber Chassis HPI Jumpshot MT « Big Squid RC – RC Car and Truck News, Reviews, Videos, and More! Have a new HPI Jumpshot MT that you want to uber-out? 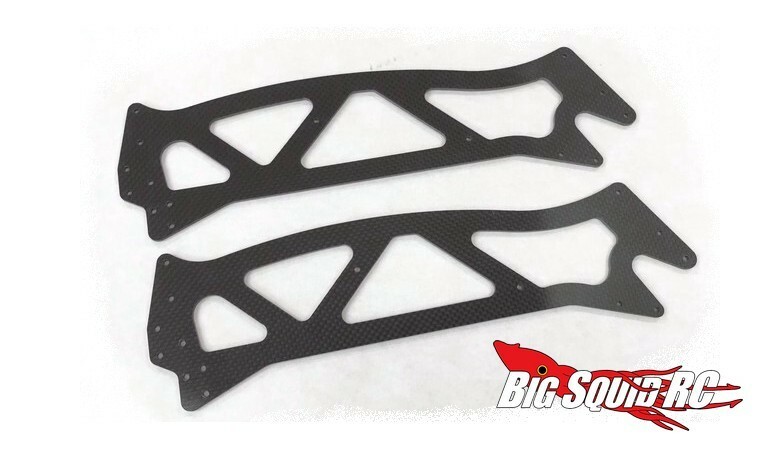 I would start with the new Carbon Fiber Twin Vertical Chassis Plates from Xtreme Racing. Not only will they instantly make your Jumpshot look a lot more trick, they will also save weight for better performance. The side plates comes in two different versions- standard length (#10195, $79) or extended by 1″ (#10196, $89). Get more details over on the official Xtreme Racing Website. Click Here to read more Xtreme Racing news on BigSquidRC.